Margaret was a new widow. Her husband of over 50 years had died and for the first time in Margaret’s life, she was alone. Alone in the house, alone for breakfast, alone for her afternoon walks, alone…. Margaret did have her dog. And over time, she and her dog created a new life. They were together always. Margaret felt safe and secure with her dog around her. She didn’t feel alone anymore. One thing still plagued Margaret….the nights. Going to bed in a dark room, all alone…sometimes Maragaret felt scared. To help combat her fear, Margaret would reach down from her bed and pet her dog, he would give her hand lick. This would make Margaret feel better and she would be able to sleep. One night, Margaret was in bed, almost asleep and she heard a startling sound. Too scared to get up and investigate, she reached down and found comfort in her dog’s presence and by the lick on her hand. There was a note on the floor, beside the bed…. And when Margaret got up, she found her dog had been hanged in her in closet. And this, my friends….is why I keep my hands and legs inside my bed at all times. Categories: Just for fun | Tags: Halloween, scary stories, slumber party stories | Permalink. There is something about November 1st that is always very energizing for me. Something about Halloween being over marking the official start to the Holiday Season. 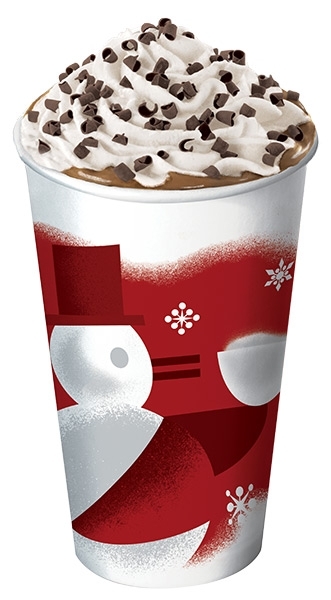 I mean – Starbucks jumps on November1st – they started using their infamous Red Cups today. Soon our local soft-rock radio station will start playing 24/7 Holiday music. I love it! I love the Holiday Season in general. I like the craziness, I could do without the traffic. I like how everyone seems a little nicer, the cold air feels crisp and refreshing, the shorter days make the twinkle lights even brighter. I love visiting with friends, Holiday newsletters and Christmas cards with family photos, sharing our story with friends and families. Love, love, love this season. BUT – – – all this happy, happy – joy, joy – doesn’t just happen. It takes planning and a commitment to being flexible. So let’s make a pack – we’ll all take the setting off perfection – plan what needs to be planned and remain flexible for unexpected changes that will surely happen. And stay tuned for more time-saving tips to get us all through this Season with joy! Categories: Random Thoughts, Time-savers, To-do, Uncategorized | Tags: Halloween, Happy, Holiday music, Holiday Season, joy, Starbucks Red Cups, twinkle lights | Permalink.